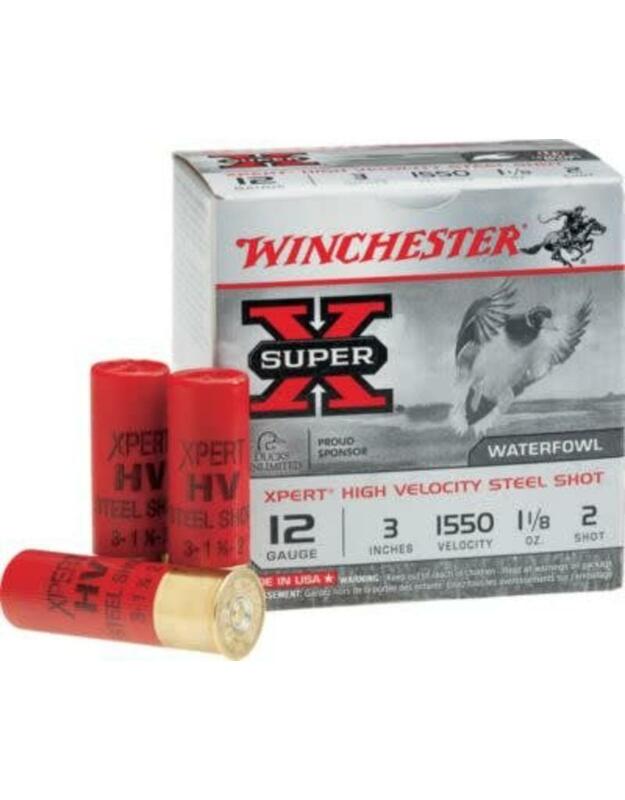 Xpert Hi-Velocity is an entire family of value priced high-velocity steel shot loads. 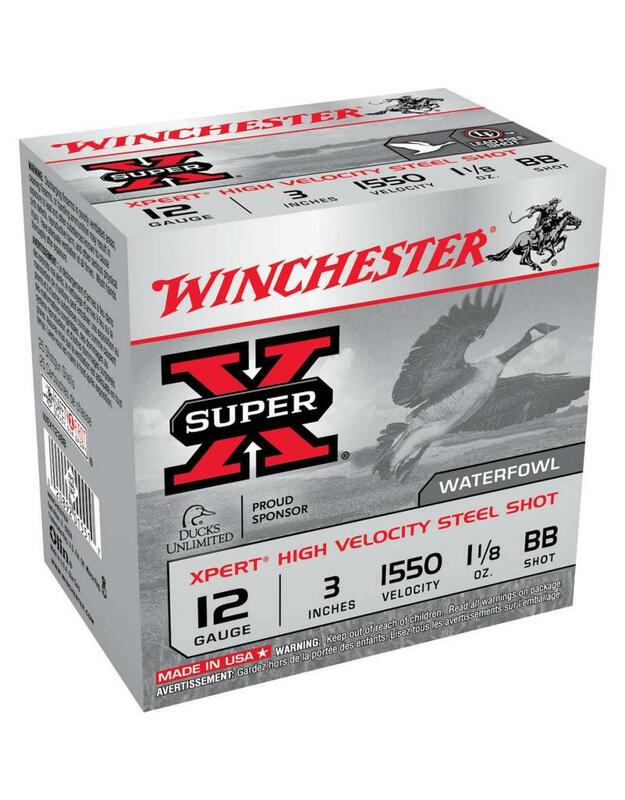 Designed for waterfowl, these Xpert Hi-Velocity steel shotshells deliver greater per pellet energy on fast moving targets for superior bird bagging performance. 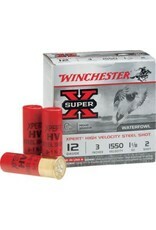 These Hi-Velocity steel shotshells give you an incredible performance boost with 1550 fps muzzle velocity. 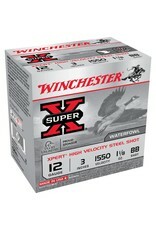 Box of 25 rounds.